Funeral services for James Marshall, 74, of Lizella will be held on Monday, April 15, 2019 at 2:00 pm at Bethel United Methodist Church. Burial will follow in Bethel United Methodist Church Cemetery. 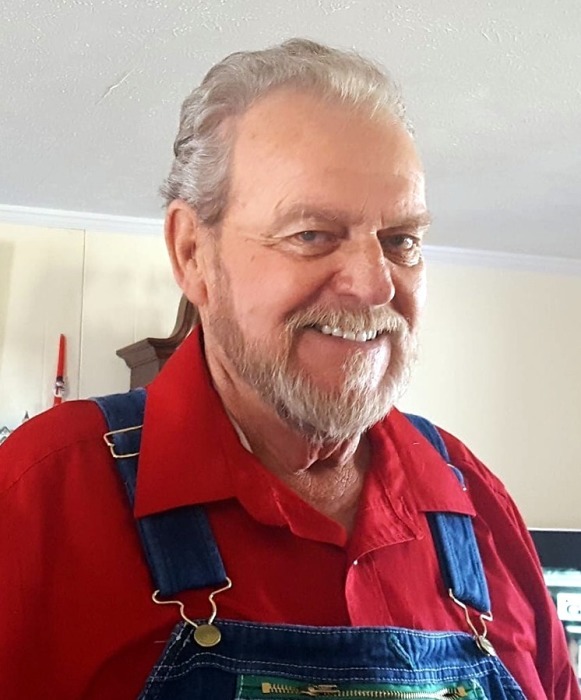 Mr. Marshall passed away on Thursday, April 11, 2019 at Navicent Health in Macon. He was a member of Bethel United Methodist Church where he served on the Board of Trustees. He also served on the Crawford County Development Authority for 4 years. James enjoyed fishing, racing, camping, and spending time with family and friends. Mr. Marshall was preceded in death by his parents, William Harris Marshall and Helen Louise Hancock; brother, William Harris “Buddy” Marshall and infant sister, Christine Marshall. Survivors include his wife of 56 years, Sue Marshall of Lizella; one son, Wade Marshall (Angelia) of Ridge-Manor, Fl; two daughters, Tammy Climpson (Donald) of Thomaston and Shirley Burkes (Bubba) of Lizella; one sister, Betty Floyd (Felix) of Danville; sixteen grandchildren, Kenny Winslett (Brooke), Jamie Winslett (Amber), Broc Corbin (Ciara), Ben Butterworth (Amanda), Brandon Butterworth, Becky Sue Butterworth, Levi Burkes (Tiffy Jo), Justin Burkes, Samantha Burkes, Tiffany Willis (Sidney), Brittany Etheridge (Travis), Natalie Johnson (Jeffrey), Lindsey Marshall, Kaylee Winslett, April Arreola and Amber Arreola; and twenty great grandchildren; and host of nieces, nephews and friends. Visitation will be held on Sunday from 5 until 7 at the funeral home. Flowers will be accepted but donations can be made to Bethel United Methodist Church, 119 Sandy Point Road, Knoxville, GA 31050. McLeighton Funeral Service of Roberta is in charge of arrangements.